When the music is written, there are instruments to play it on, teachers to teach those who wish to play and sing, and musicians and singers who wish to share their music with the masses, there have to be people who can manage the orchestras, direct the choirs, and organize the concerts. 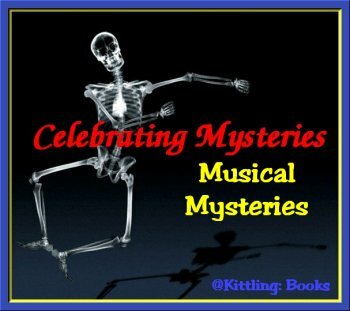 This final week of Celebrating Musical Mysteries Month will feature three authors whose characters do just that. Are you ready? Let's go! Sara Hoskinson Frommer lives in Bloomington, Indiana, and is a charter member of the Bloomington Symphony Orchestra's viola section. She's also a self-taught quilter whose series of mysteries feature viola-playing sleuth Joan Spencer, an orchestra manager in Oliver, Indiana. Murder & Sullivan (1997), The Vanishing Violinist (1999), Witness in Bishop Hill (2002), and Death Climbs a Tree (2005). 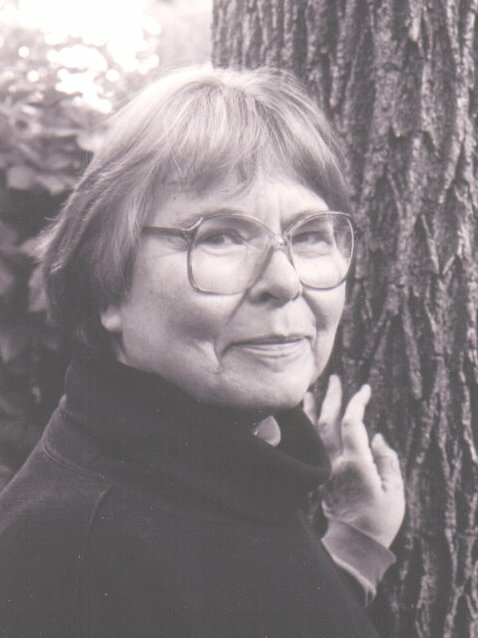 Frommer has used some of the history and events of the area in which she lives in her books. Oliver, Indiana. Quiet streets. Deep roots. Families and neighbors. Young widow Joan Spencer returns, wondering if anyone can really go home again. She finds few familiar faces, but from those old friends spring connections--and reminders of what long memories exist in small towns. Actually Oliver is not so small. It has a busy college where Joan's son grows fascinated with biological research. A senior center, where she lands the director's job. 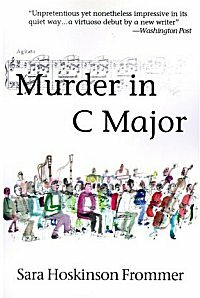 An amateur orchestra where she settles into the viola section--and right next to an unpleasant oboist who drops from his chair during rehearsal. Rushed to the hospital, the man dies, if not to universal applause, then to a general sense of relief. A young Japanese violinist is puzzled: the victim displayed all the symptoms of fugu poisoning. The autopsy confirms he's been murdered. 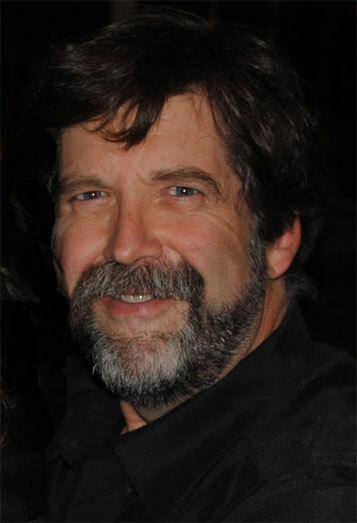 In 1974, Mark Schweizer graduated from high school and decided he wanted to become an opera singer rather than join in the family architectural business. Now he lives and works as a musician, composer, author and publisher in Tryon, North Carolina, with his wife, Donis. Mark has written a series of mysteries featuring Hayden Konig, the police chief of St. Germaine, North Carolina, who also happens to be the choir director and organist at St. Barnabas Episcopal Church. Hayden Konig is the police chief in the small Appalachian town of St. Germaine, North Carolina. 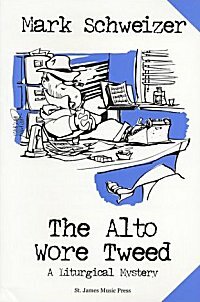 His part-time job, however, is serving as the choir director and organist at St. Barnabas Episcopal Church, but he’s also determined to write the next great hard-boiled mystery novel a la Raymond Chandler — a liturgical mystery novel with no real plot, but enough bad prose to make the Bulwer-Lytton Fiction Contest look like the Oxford University Press spring catalog. Chief Konig is also lucky enough to be independently wealthy, which is why he decides that his lack of talent in the writing department can easily be remedied, or at least greatly enhanced, by the purchase of Raymond Chandler’s 1939 Underwood typewriter. He is sadly mistaken, but the results are uproarious! Even as Hayden works on his opus, he must deal with other, more pressing, problems -- a new priest at St. Barnabas, a Christmas feud between the Rotarians and the Kiwanians and, more importantly, a dead body in the choir loft. It’s a good thing that Hayden keeps a loaded Glock under the organ bench! As Christmas approaches, the tension (and hilarity) rises to a fever pitch. St. Barnabas is introduced to "The Penguin of Bethlehem" and the town’s Nativity feud turns ugly when the Kiwanians' bagpiper spooks the Rotarians' camel. A 12-year-old wine snob, hedgehogs, Benny (the world-champion thurifer), church antics, and an episode that is just too good to give away, fill out this mystery that will leave you laughing with every page turn. 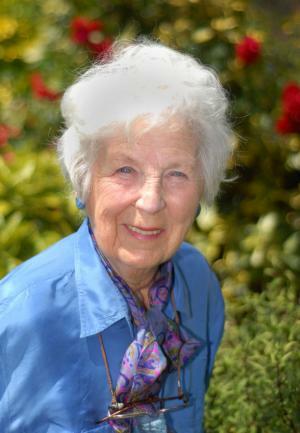 Tessa Barclay is one of the pen names of Jean Bowden, who retired from writing last year just before her ninetieth birthday because she felt she could no longer identify with her heroines. 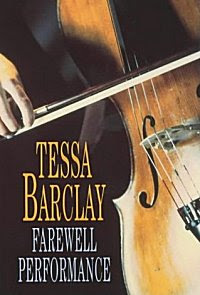 As Tessa Barclay, this resident of Tooting (Greater London) wrote a mystery series featuring Gregory Crowne (former Crown Prince Gregory of Hirtenstein) who travels Europe organizing classical music events. The series numbers six books: Farewell Performance (2001), A Better Class of Person (2003), A Handful of Dust (2004), A Final Discord (2005), To Die For (2007), and Diamonds in Disguise (2009). Concert agent Gregory Crowne (a.k.a. Crown Prince Gregory of Hirtenstein) organizes the Edinburgh Festival, during which an international audience will hear a work featuring eight cellists. The most famous of these, Talik Edder, discovers that someone has stolen the Stradivarius cello that he had just purchased at an Edinburgh auction. The suspects include an adamant Japanese industrialist, a spurned soprano soloist, an emotional Brazilian groupie, and others staying at the musicians' hotel until murder eliminates one of them. Much satisfying entertainment arises from this conglomeration of musical egos and clever confusion of cellos. Thanks as always to the helpful folks at 4 Mystery Addicts for providing guidance and suggestions. I don't know about any of you, but not only have I been able to share some books that I've read and enjoyed, I've also discovered some excellent additions to my To Be Read shelves. Don't forget to stop by next weekend for the start of a brand-new celebration. May is Jewish-American Heritage Month, and I'll be taking a look at mysteries with a Jewish theme. See you then!